Hi! 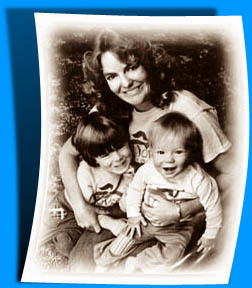 My name is Chris, and this is a picture of my mom Laurie Connable, and my sister Joelle and me when we were kids. I Love Life is a collection of songs that my mom wrote for us back then. She drew on her own childhood, growing up in Hawaii. She decided to share I Love Life with everyone's kids, and it went on to became the favorite album of thousands of children—many of whom are now grown, and who want to share it with their own kids or grandkids. To continue to celebrate and share I Love Life, we've made it available in CD and downloadable formats. There's also a booklet you can download and print out for your little ones.